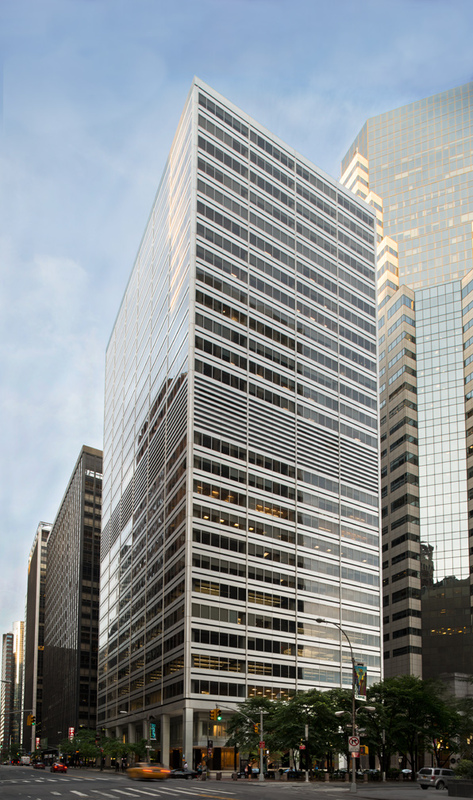 The William Kaufman Organization (WKO) and Principal Real Estate Investors, the owners of 77 Water Street, announced that it has retained CBRE as co-leasing agent with Sage Realty Corporation for the 600,000 s/f class A downtown office tower. CBRE’s Senior Vice President Jonathan Cope, Senior Vice President Adam R. Leshowitz, and Senior Associate Nate Katz will work alongside Sage Realty Corporation’s Vice President and Director of Leasing Michael Lenchner to assist in its effort to identify, market and lease approximately 72,000 s/f of space to prospective tenants. As part of the assignment, the team is marketing four new pre-built office suites on the building’s 24th floor. Designed by architecture firm Fogarty Finger Architecture, the pre-built units – ranging from 5,325 to 7,354 s/f – will feature an open bar pantry with integrated Miele appliances; an adaptable reception/conference space; new hospitality restrooms and corridors; high-end finishes; and abundant natural lighting. The suites will be available for lease beginning in first quarter of 2019. In addition to the 24th floor prebuilt suites, the team is offering a portion of the 15th floor (12,357 s/f) and a portion of the 16th floor (8,532 s/f), which can be leased together as a duplex with interconnecting stairs or separately; and the 26th floor penthouse (25,358 s/f), featuring sviews of the New York Harbor and the downtown skyline. “77 Water Street offers modern infrastructure, high-end pre-built spaces and responsive, stable ownership,” Lenchner said. Built by WKO and designed by Emery Roth & Sons in 1970, 77 Water Street is located between Old Slip and Gouveneur Lane. It features an open plaza area with whimsical design elements, including honey locust trees, streams, foot bridges and a wood-framed, turn-of-the-century-style candy store. The crowning jewel is the trademark World War I replica fighter plane on the building’s rooftop. The building’s tenant roster includes Lewis Brisbois Bisgaard & Smith LLP and Arup.